McAuliffe's curriculum is organized into units of study called Learning Expeditions. Expeditions are cross-curricular and guide scholars to build understanding of academic content through real world case studies. They are designed by teachers and aligned with the Massachusetts Curriculum Frameworks. Expeditions typically include fieldwork, interactions with experts, a final product, and a culminating event. Space Magazine - In this expedition, scholars tried to discover if Earth is the only planet that sustains life. 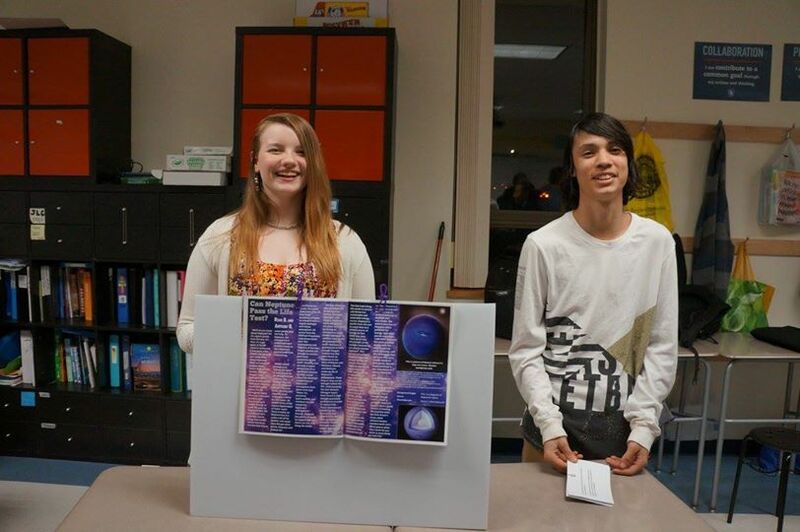 They studied the hunt for water on Mars and Europa, and interviewed experts in astronomy. Throughout the unit, students dug deep into the genre of the scientific feature article and working in teams they wrote scientific articles that were published in a compilation magazine. 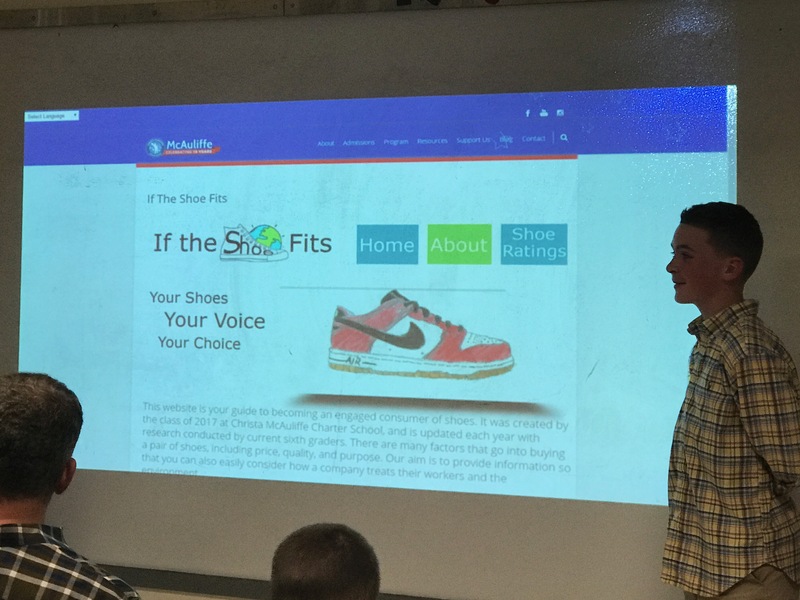 If The Shoe Fits Website - In this expedition, scholars deeply considered what it means to be an informed consumer. They learned about globalization through studying why companies outsource, what factors influence price , and how many countries are involved in the making of our shoes. Scholars then analyzed the standard of living of the people who make our shoes. Along the way, they used a rubric to give companies a score for how comprehensive their corporate social responsibility program is, based on authentic research.